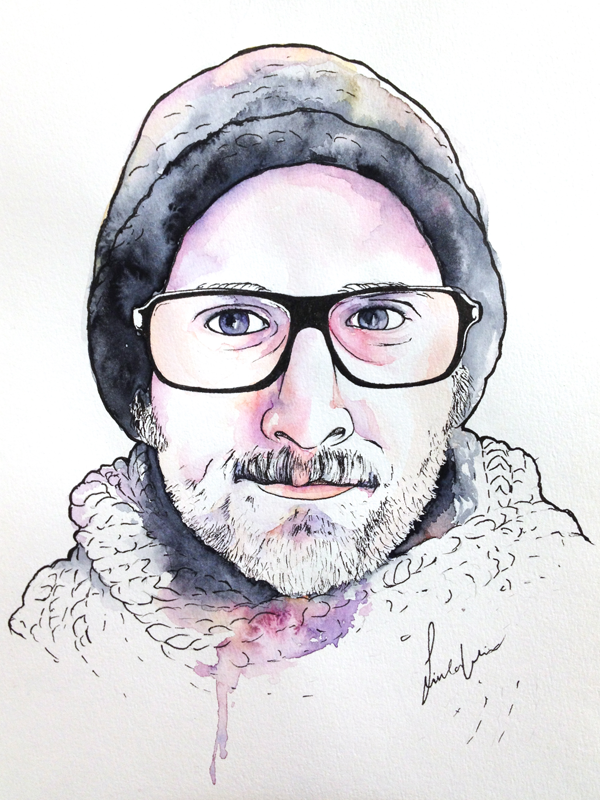 Portrait of my friend Jonas for his birthday. “Jonas”(2013) Watercolor and ink on paper. Graphite and ink on paper(WIP).